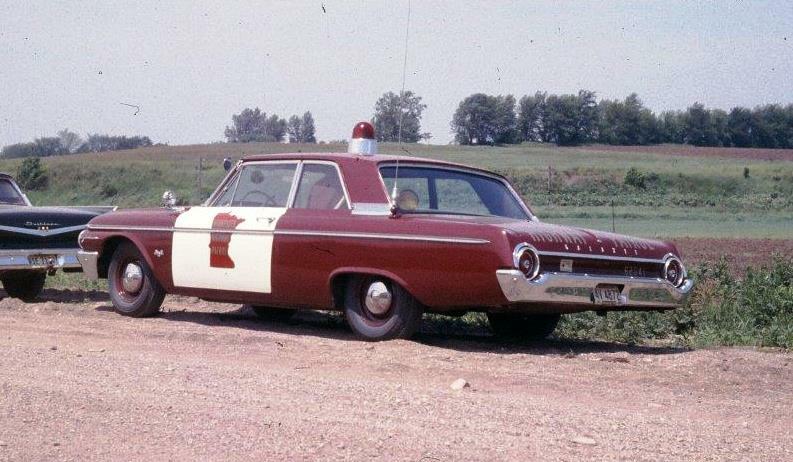 The 1962 Ford Galaxie 100 used a 330 hp 390 CID V8 fitted with a four barrel carburetor, solid lifters, special cam, and shorty headers with dual exhaust. Photos from the L.A. Nesvik collection. 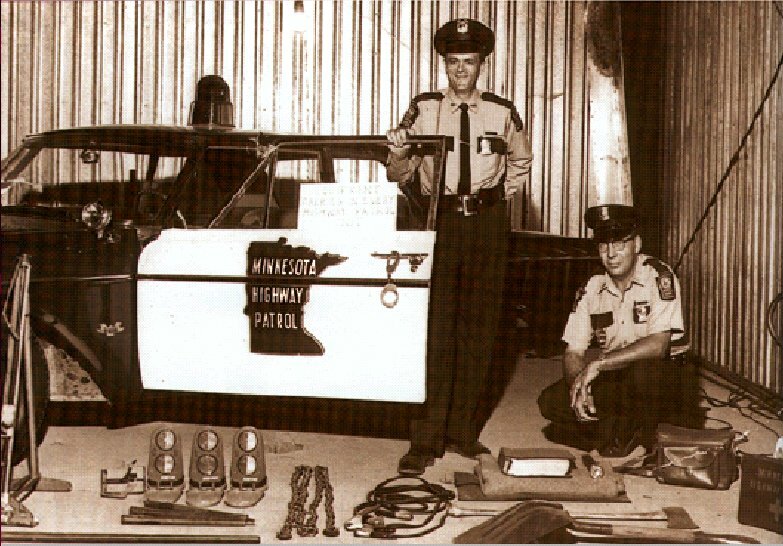 Officers Joel Brown (standing) and Dwight Drown display the equipment carried in this 1962 Ford Galaxie 100.